The Heysen Trail is accessible by car, bus, taxi and shuttle services. This page lists those transport services available along the trail. Car parking is available at various points along the trail, generally in towns, public car parks or on road sides. Don’t leave valuables in your car when you are away walking. Ensure your car is locked and secure when unattended. Metropolitan bus services are comprehensively detailed on the Adelaide Metro website. Country bus services are comprehensively detailed on the Bus SA website. Some country towns have taxi services. The following Regional Visitor Information Centres may be able to provide advice for services in surrounding areas. Following is a list of known services for towns along the trail. You should double check any bus timetable information before relying upon it, some bus service operators may require tickets to be purchased prior to boarding the bus. 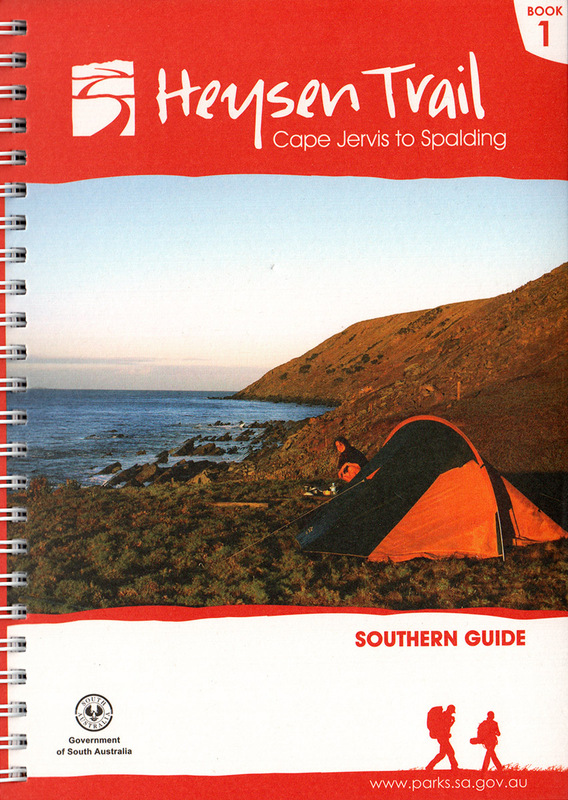 There is a twice daily bus service between Adelaide and Cape Jervis operated by Sealink Ferries, visit www.sealink.com.au or phone 13 13 01. Sealink also operates a bus service 5 days a week between Victor Harbor and Cape Jervis. Backyard Universe Pty Ltd (based in Yankalilla) operate a Heysen Trail Minibus Shuttle service between the Cape Jervis Ferry terminal and Dashwood Gully (near Meadows). For more information go to www.thebackyarduniverse.com.au. You can also phone or SMS 0488 705 224. Bus service between Victor Harbor and Adelaide, it operates up to 4 times a day, 7 days a week, operated by Link SA, phone (08) 8339 7544. Bus service 5 days a week between Victor Harbor and Cape Jervis operated by Sealink Ferries, phone 13 13 01. Bus service between Victor Harbor and Adelaide, stopping at Mt Compass, operating up to 4 times a day, 7 days a week, operated by Premier Stateliner, phone (08) 8415 5555. Adelaide Metro metropolitan bus route 823 operates between bus stop 26 Mt Lofty Summit and Crafers, with connections to Adelaide. For timetable and ticketing info contact Adelaide Metro InfoLine on 1300 311 108 (or freecall 1800 182 160) 7am to 8pm 7 days. Bus service between Adelaide and Mt Pleasant or Mt Torrens, stopping at Cudlee Creek, operating up to 4 times a day, 7 days a week, operated by Link SA, phone (08) 8564 3022. Bus service between Adelaide and Angaston, stopping at Tanunda, operating up to 4 times a day, 7 days a week, operated by Link SA, phone (08) 8415 5579. Bus service between Kapunda and Adelaide, operating up to 2 times a day, 7 days a week, operated by Link SA, phone (08) 8564 3022. Bus service between Saddleworth and Tanunda, with connections from Kapunda and Tanunda to Adelaide, operating up to 2 times a day, 5 days a week, operated by Link SA, phone (08) 8564 3022. Bus service between Orroroo and Adelaide, stopping at Spalding, operating 4 times a week, operated by Yorke Peninsula Coaches, phone (08) 8821 2755. Bi-weekly bus service (operating seasonally between April and October) between Adelaide and Arkaroola, stopping at Georgetown, operated by Genesis Tour & Charter, phone (08) 8552 4000. Bus service between Peterborough and Adelaide, stopping at Georgetown, operating once a week, operated by Yorke Peninsula Coaches, phone (08) 8821 2755. Bus service between Whyalla and Adelaide, stopping at Crystal Brook, operating up to 2 times a day, 7 days a week, operated by Premier Stateliner, phone (08) 8415 5555. The same bus also provides a service between Crystal Brook and Port Pirie. Bi-weekly bus service (operating seasonally between April and October) between Adelaide and Arkaroola, stopping at Laura, operated by Genesis Tour & Charter, phone (08) 8552 4000. Bi-weekly bus service (operating seasonally between April and October) between Adelaide and Arkaroola, stopping at Murray Town, operated by Genesis Tour & Charter, phone (08) 8552 4000. Bi-weekly bus service (operating seasonally between April and October) between Adelaide and Arkaroola, stopping at Wilmington, operated by Genesis Tour & Charter, phone (08) 8552 4000. Bus service between Peterborough and Port Augusta (with connections to Adelaide), stopping at Wilmington and Quorn, operating once a week, operated by Yorke Peninsula Coaches, phone (08) 8666 2255. Bi-weekly bus service (operating seasonally between April and October) between Adelaide and Arkaroola, stopping at Quorn, operated by Genesis Tour & Charter, phone (08) 8552 4000. Weekly bus service between Parachilna and Port Augusta, stopping at Quorn, operated by Angorichina (Flinders Ranges) Connections, phone (08) 8641 9193. Weekly bus service between Parachilna and Port Augusta, stopping at Hawker, operated by Angorichina (Flinders Ranges) Connections, phone (08) 8641 9193. Bi-weekly bus service (operating seasonally between April and October) between Adelaide and Arkaroola, stopping at Hawker, operated by Genesis Tour & Charter, phone (08) 8552 4000. There is a weekly bus service between Parachilna and Port Augusta, stopping at Wilpena Pound, operated by Angorichina (Flinders Ranges) Connections, phone (08) 8641 9193. 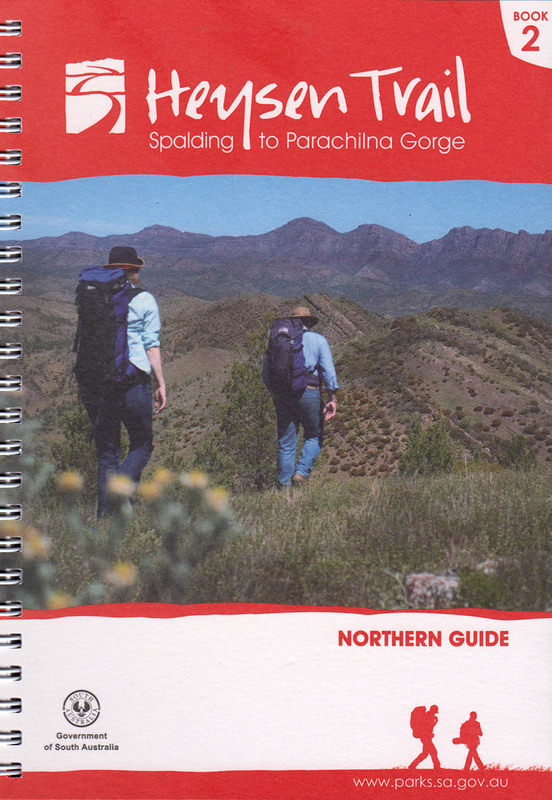 Angorichina is 3km east of the Parachilna Gorge trailhead along the Parachilna to Blinman Road. Angorichina Tourist Village operates a transfer service between Parachilna and the Village, phone (08) 8648 4842. There is a weekly bus service between Parachilna and Port Augusta, stopping at Angorichina, operated by Angorichina (Flinders Ranges) Connections, phone (08) 8641 9193. There is a weekly bus service between Parachilna and Port Augusta, stopping at Blinman, operated by Angorichina (Flinders Ranges) Connections, phone (08) 8641 9193. There is a weekly service (operating all year round) between Adelaide and Arkaroola, stopping at Parachilna, operated by Genesis Flinders Bus Services, phone (08) 8552 4000. There is a weekly bus service between Parachilna and Port Augusta operated by Angorichina (Flinders Ranges) Connections, phone (08) 8641 9193.
between Cape Jervis and Tanunda in the Barossa Valley: The Fire Danger Season in the Mt Lofty Ranges has been extended to May 12th 2019.
between Tanunda in the Barossa Valley and Wirrabara Forest: The Fire Danger Season in the Mid North will end on April 30th 2019.
between Wirrabara Forest and Parachilna in the Flinders Ranges: The Fire Danger Season in the Flinders ended on April 15th 2019. 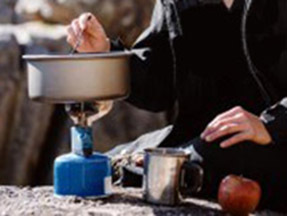 Find out more details about when to hike the Heysen Trail and the Fire Danger Season. The latest trail conditions and incidents are published via our Twitter account @HeysenTrail. 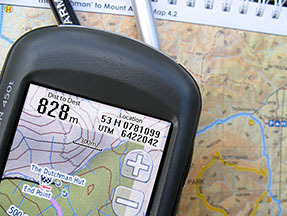 Download the GPX or KML waypoint data file/s and load onto your GPS unit for use as a navigational aid when walking the Heysen Trail (we strongly recommend also still carrying the guidebook or the relevant pages from it).